MTC brings you the latest weight loss surgery – Stomach Intestinal Pylorus-Sparing Surgery (SIPS) in Las Vegas, USA performed by one of the leading bariatric surgeons in the world – Dr. Tom Umbach. A new kind of bariatric surgery, it is also know as Single-Anastomosis Duodenal Switch and is a modified version of the standard duodenal switch operation, the only exception being that the small intestine is transected at the duodenum. Though an effective procedure, duodenal switch is not a widely performed procedure because of its side effects (loose bowel movements, high risk of nutritional deficiencies). The procedure is performed by removing a major portion of the stomach and creating a sleeve out of it (bigger than the one made in a gastric sleeve surgery). After transecting the small intestine at the duodenum, a loop of ilium is connected to it; this arrangement helps reduce chances of dumping, ulceration, and herniation. 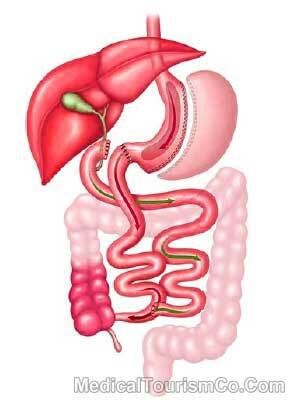 Weight loss is achieved by restricting the consumption of food as well as malabsorption. Why Us for SIPS in Las Vegas? Make sure to workout at least 20 minutes thrice a week. One of the easiest and most convenient of exercises is walking. Taking high protein meal replacements helps lose some weight prior to surgery and also reduces the size of the liver. Quit smoking at least a month before bariatric surgery. Smoking is known to increase surgical risks and complications. For more information on Stomach Intestinal Pylorus Sparing (SIPS) surgery in Las Vegas, NV fill in the quote-form on the right.